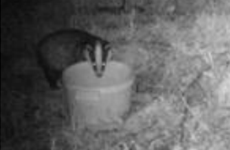 The Royal Agricultural University (RAU) in Cirencester recently completed a three month trial assessing the effectiveness of the Badger Proof Bucket Stand in preventing badger access to mineral lick buckets. The three month trial aimed to provide robust scientific evidence to assess the effectiveness and practicality of the Stand; monitoring badger interaction and cattle interaction on two separate farm sites. Night vision, motion sensing cameras were used to monitor activity and interaction with the Stand. 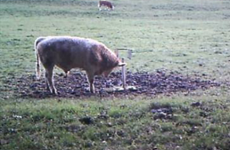 Throughout the duration of the trial, badgers were found to be unable to access the mineral lick holder held by the Stand, whereas badgers regularly accessed a conventional mineral lick bucket. Additionally, the trial established that once secured, the Stand can withhold substantial interaction from cattle, including cattle leaning against the Stand and using it as a scratching post. 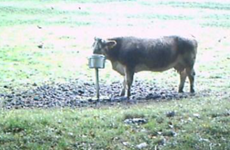 Following monitoring of activity and analysis of data, the RAU research team concluded that over the three month period, the Stand was successful in preventing badgers from accessing the contents of the mineral lick bucket, and is practical and durable to use with cattle. 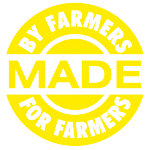 In November 2012 the South West TB Farm Advisory Board completed a successful study of the Stand as part of a collaborative biosecurity project with Bicton College, Devon. The trial showed that, although numerous attempts were made by badgers to access food secured by the Stand, none were succeesful. Further, the trial showed that visits to the food bucket become more infrequent, leading to the belief that the badgers realised that the food was unaccessible.